Welcome to Day 8 of my 12 Days of Christmas. Another easy, simple, unique idea. 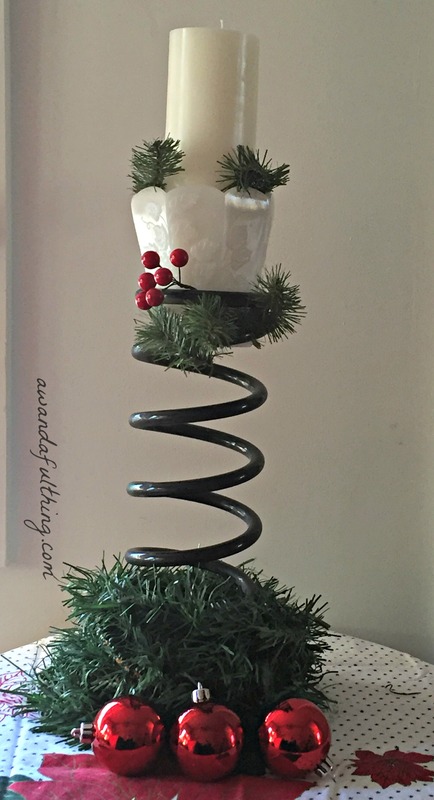 Coil Spring Candle Holder. In the small town I live in there is an event twice a year where people can put on their front lawn or on the curb side, items they no longer want and others can take what they like. After the event whatever is left over is considered heavy pickup and our local waste collectors will take it away for free. 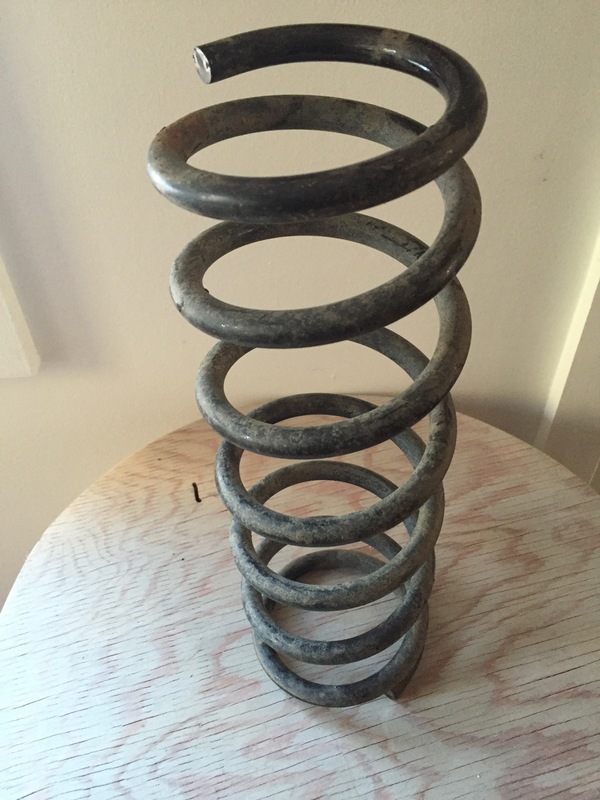 This awesome coil spring was one of the items I picked up during that event and I debated what to do with it until I started thinking about my 12 Days of Christmas. 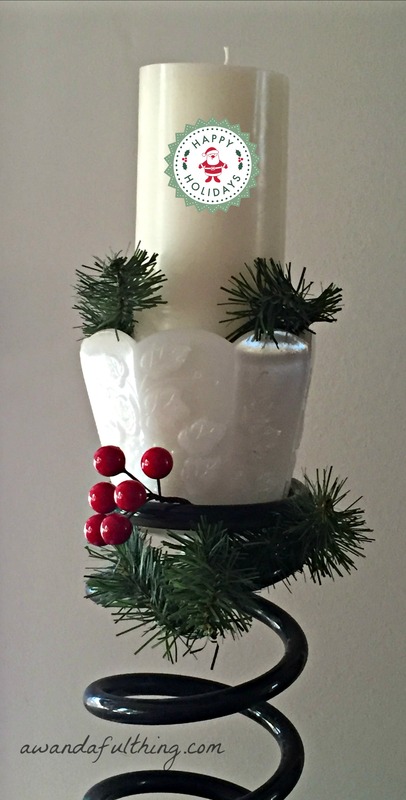 I had all the other items I needed , a candle, a holder to put it in -in my case a vintage milk glass dish(because my candle wasn’t big enough just to sit in the coil spring), some pieces of greenery and some Christmas tree ornaments. The only thing I really had to do was wash the coil spring. It would be easy to spray paint any color to match your decor and could be used for any occasion. When I put it all together, this is how it looked. 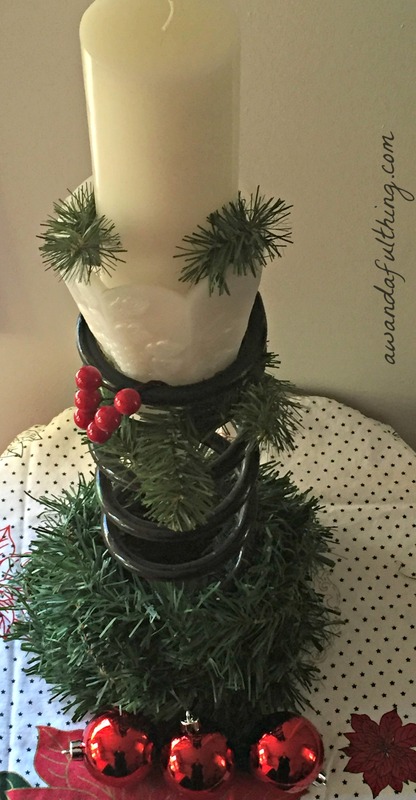 This entry was posted in Decorate, DIY, Make and tagged candle, Christmas, coil spring, Crafts, Decorate, DIY, holder, inexpensive, recycle, repurpose, reuse, simple, vintage. Bookmark the permalink. You are so good at seeing possibilities in anything. I wouldn’t pick anything up unless I knew what I was going to do with it – I will have to rethink that!